Learn About Social Security's Online Tools – SHAUN W. WIEDRICK, P.A. With the aging population becoming increasingly tech savvy, the Social Security Administration (SSA) has moved a lot of services online. 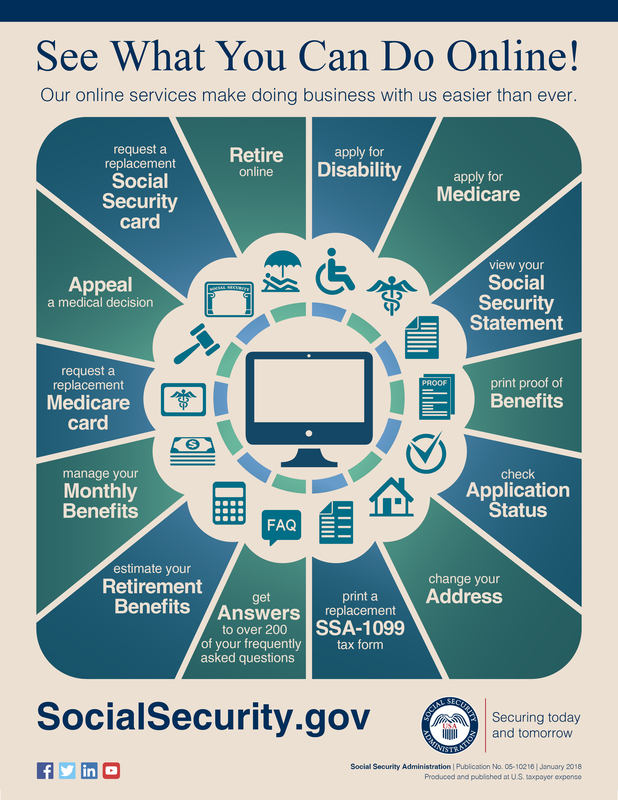 From applying for Social Security benefits to replacing a card, the SSA has online tools to help. To access most of the online services, you need to create a my Social Security account. This account allows you to receive personalized estimates of future benefits based on your real earnings, see your latest statement, and review your earnings history. You can also request a replacement Social Security card, check the status of an application, get direct deposit, or change your address. If you are a representative payee, you can use my Social Security to complete representative payee accounting reports. Even if you don't get benefits, you can use the account to request a benefit verification letter. For a full run down of the online services available, click here. For more information about Social Security, click here. I consent to SHAUN W. WIEDRICK, P.A. collecting my details through this form.